Wondering if your child is old enough for the ballet? There are a few telltale signs the holiday season is approaching. TV commercials take on a red and green hue, featuring Christmas jingles in the background and the latest gadgets for sale. Seattle’s rainy season picks up and folks break out their coats, boots and Vitamin D.
If you’ve attended in the past, you’re familiar with the experience: Giant wreaths and Seattle’s largest Christmas tree in the lobby, families dressed up and posing for photos, children grabbing booster cushions and making their way down the aisle to their seats, and the PNB Orchestra tuning up before beginning the classic Tchaikovsky score. But if you’ve never attended, you might be wondering if your children are going to enjoy a ballet performance. Is your child mature enough for ‘The Nutcracker’? 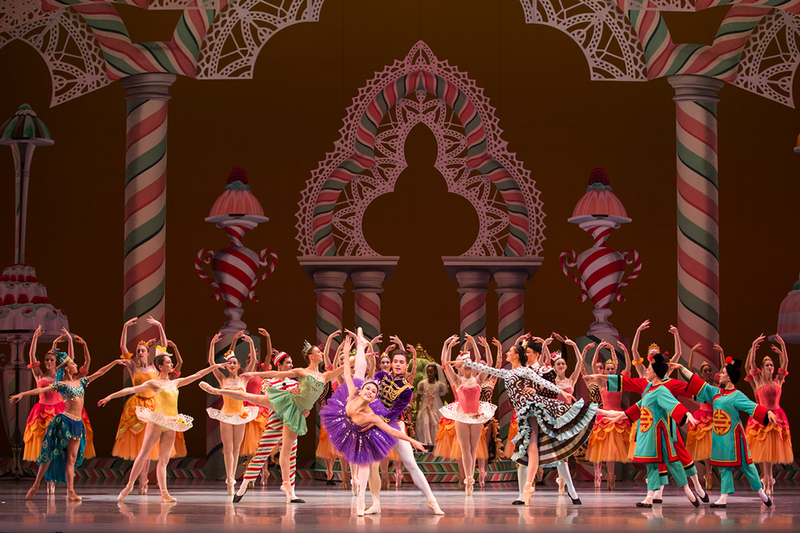 Like most versions of the ballet, PNB’s “Nutcracker” could be compared to a G-rated movie. 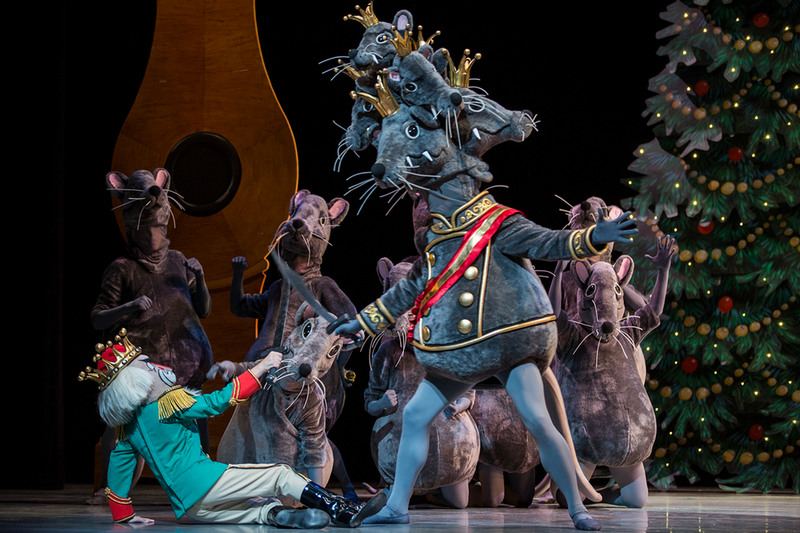 While one scene in the ballet features a battle between The Nutcracker and the Mouse King with a bit of play violence, most scenes are bright and cheerful, and dancers are smiling throughout. Prepare your child for that battle scene, as well as a moment during a nighttime storm where bright lights simulate lightning. If this is your child’s first live performance, remind them that while the action onstage feels real, those people are performers, and they are totally safe. Would your child be interested in the story? The most important thing you can do with your child, regardless of age, is read them the story of the ballet. Remind your child that there will not be any singing or speaking in the performance; the story is told only through dance. At the beginning of the second act, the Prince delivers a monologue through pantomime – the ballet version of storytelling without words, using only body language and gestures. Explain to your child that he is recounting his and Clara’s battle with the Mouse King, and see if your child can figure out what his movements mean. Many ballet companies tell the story differently. PNB sticks to the original storytelling and choreography of the very first “Nutcracker” ballet by Marius Petipa with Lev Ivanov, which was adapted by George Balanchine in 1954 for American companies. After you’ve purchased your tickets, keep an eye on casting so you can see who will perform the leading roles at your performance; then, read their biographies online, or watch videos of their performances on YouTube. Many balletgoers enjoy making a personal connection with dancers to deepen their experience at the ballet. 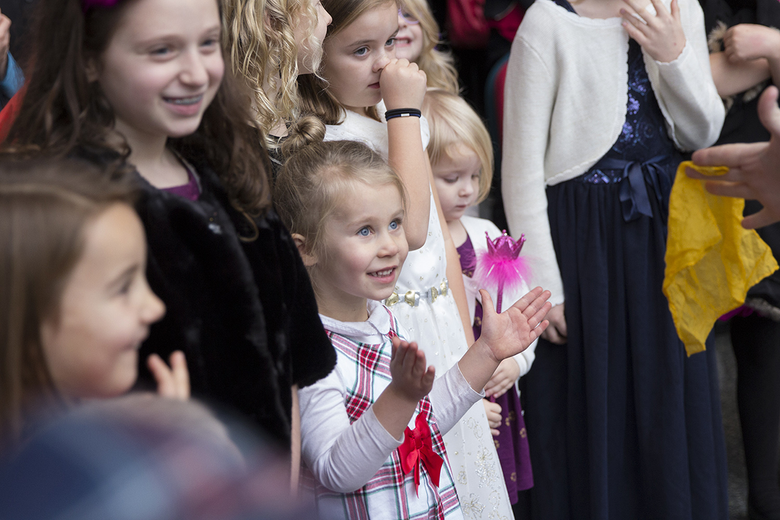 Maybe your child has something in common with the dancer performing as the Sugar Plum Fairy! Can your child sit through the show? PNB’s version of “The Nutcracker” is two hours long, including one 25-minute intermission. The first act, featuring the Party Scene, Battle Scene and Snow Scene, is 52 minutes long. Act II, which opens with the classic Dance of the Sugar Plum Fairy and continues through Clara and the Prince’s adventures in the Land of Sweets, is a bit shorter at 46 minutes long. Much of the story is told in the first act, while the second act mostly features Tchaikovsky’s most recognizable music along with beautiful dance from both students and professional ballet dancers. Should you need to leave the theater at any point – for an emergency bathroom break or for your child’s comfort – you can always exit and watch the show from large monitors stationed throughout the lobby. Can’t see the whole stage? PNB offers booster cushions for children. 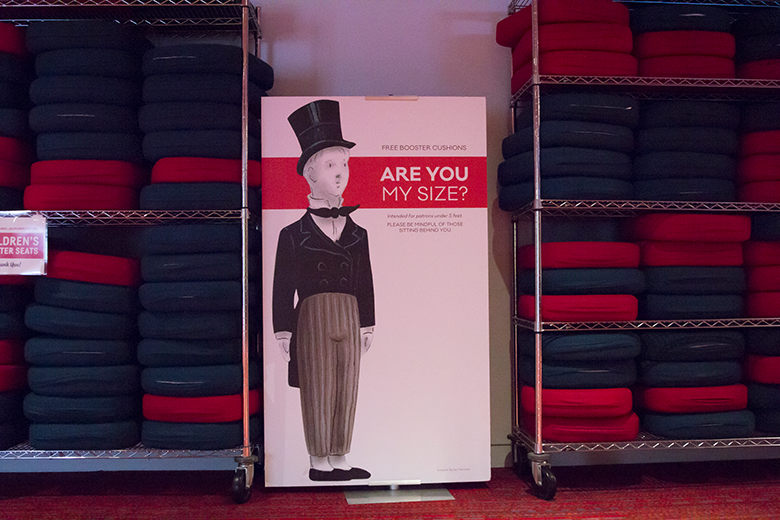 If your child meets the height requirements designated at the theater, grab a cushion for their seat. Consider renting a pair of binoculars if you’d like to see the details onstage. When it comes time for intermission, use the break to your advantage. Stretch your legs, take a trip to one of McCaw Hall’s many bathrooms, and talk about what you saw in the first act. Your child may have questions, so take a moment to resolve any lingering confusion before watching the second act. Your child might also be hungry! Food is not allowed in the theater; grab snacks at a concession stand during intermission or before the show. Remember that while a little quiet whispering is okay, you shouldn’t talk during a performance. The folks around you are also enjoying the show, and when you talk, it interrupts the magic of a live orchestra and dance presentation. Save your conversations for intermission or after the show, if possible. It’s ultimately up to the parents to decide whether a child is ready to sit through a two-hour show. Many parents find their 6-year-olds enthralled by the performance, while the adults themselves are fidgety and impatient. Purchasing tickets can be an investment, so be sure to have a conversation with your child about their willingness to attend. Read the story of “The Nutcracker and the Mouse King” and gauge their interest. Show them a video from a live production. And keep an eye out for discounted tickets for children and teens. See “The Nutcracker,” with Tchaikovsky’s cherished score played live by the Pacific Northwest Ballet Orchestra, the brilliant dancing of PNB dancers, Ian Falconer’s scenery and costumes, and Seattle Center’s McCaw Hall all dressed up for the holidays.